For as long as he can remember, sweet corn breeder Bill Tracy has had a passion for the plant kingdom. “Some of my earliest memories were about plants,” says Tracy, who grew up in urban Cambridge, Massachusetts. “I can remember planting watermelon seeds in the backyard and having them grow to be a foot tall, with their cotyledons sticking out, because there wasn’t any light back there.” (Cotyledons are the baby leaves that first appear in seed-bearing plants). In high school, Tracy fell in love with genetics. At the University of Massachusetts, Amherst, which is a land-grant university, he discovered that he could combine two of his passions — plants and genetics — and have a career. “That’s when I decided to go into plant breeding,” Tracy says. He went on to get his Ph.D. at Cornell and worked at a handful of jobs before landing at the University of Wisconsin-Madison’s College of Agricultural and Life Sciences, where he’s been on the faculty for 32 years. Today he’s the chair of the agronomy department there. 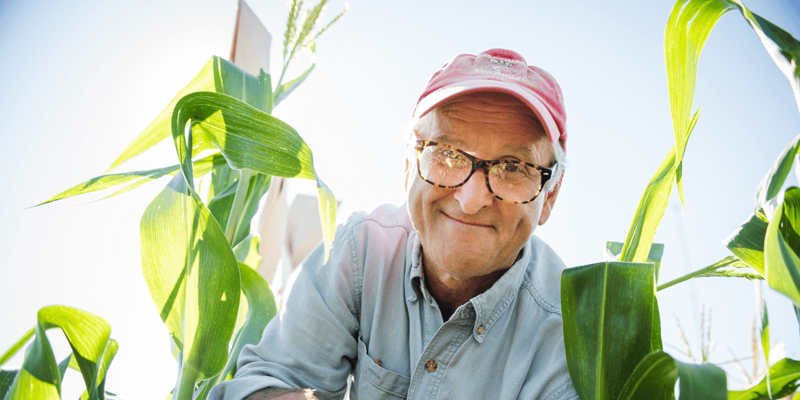 And last year, thanks to a $1 million combined gift from Clif Bar and Organic Valley and $1 million from the Morgridge family, Tracy became the first endowed chair for organic plant breeding in the nation. A quick primer on plant breeding. Unlike genetic engineering, a technology that involves laboratory methods of splicing DNA from one plant or animal into an entirely different plant, Tracy practices conventional breeding — some call it Mendelian crossbreeding. He crosses a plant that has a trait he likes with another plant (of the same species) that has a different trait he likes. He saves the seeds from this union, plants those the following season, and then selects the best offspring. Organic plant breeding is the same as conventional breeding but the breeding process is done under certified organic conditions, thus adapting the new plants for success in organic systems. Tracy says it can take anywhere from 8-20 years to breed a new variety of sweet corn. You’ve probably heard that demand for organic food has soared in recent years — in 2015, U.S. consumers spent $39.7 billion on organic food, up 11 percent from 2014. But what’s not making headlines is the severe shortage of organic seeds. Organic seeds, like the fruits or vegetables they eventually bring forth, are grown without the use of toxic, persistent pesticides and fertilizers. But crucially, organic seeds are also bred to thrive in organic environments. That is, their genetics alone can help farmers defend against pests, diseases, climate change, and production challenges that are unique to organic systems. Organic standards require the use of organic seeds unless the organic variety is commercially unavailable. Since that’s still the case, many organic farmers in the U.S. still have to rely on conventionally produced seeds for their crops. It’s clear why we have a shortage of organic seeds when you start to look at the drastic cuts in federal funding for public sector plant breeding over the past two decades. In fact, according to a survey Tracy himself recently completed, the number of plant breeders at public universities has fallen more than 30 percent over the past two decades. And only a fraction of these plant breeders are focusing on organic systems. “Right now, there are only about a half dozen, maybe 10 states that have organic plant breeders,” says Tracy. 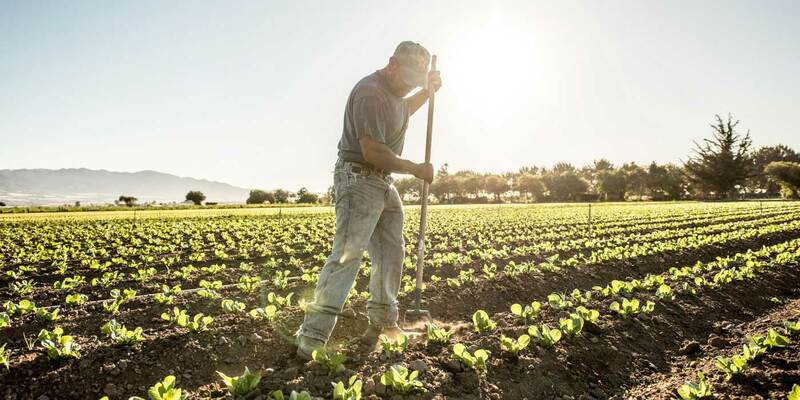 According to the Organic Seed Alliance’s State of Organic Seed report, federal and state agencies and private foundations have contributed over $31 million to organic plant breeding initiatives since 1996. While that may sound high, it is a tiny fraction of the combined public and private investment in conventional and biotech seed breeding. 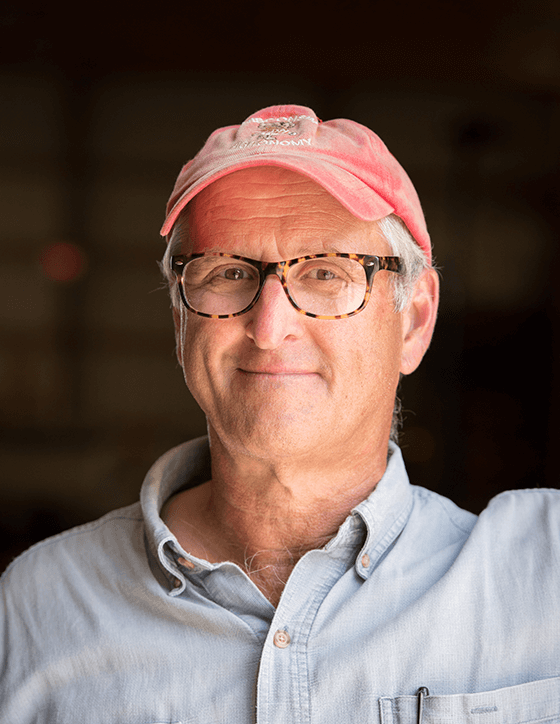 Bill Tracy’s endowed chair at the University of Wisconsin-Madison is the first of five endowed chairs in organic plant breeding that Clif Bar is rolling out over the next four years. The interest income earned from the combined $2 million investment covers part of Tracy’s salary, and it also pays for a full-time graduate student, and his or her research and travel expenses. The endowment is permanent, which means that when Tracy retires, the University will have incentive to hire another organic plant breeder. As long as 30 years ago, Tracy was eating organic food and knew organic farmers. But he didn’t start breeding for organic systems until 15 years ago, when organic farmers started asking him for help controlling insects and weeds, and finding good crop rotations. “As a faculty member at a land-grant university, I’m a public servant. I’m supposed to be helping anyone who is helping to do good things and move forward,” Tracy says. For this reason, he still breeds for conventional farmers as well. (Though he doesn’t use the Clif Bar money to pay for that). What will the Clif Bar/Organic Valley endowed chair allow Tracy to do? “Largely, more of what I was already doing,” Tracy says. That is, using classical plant breeding technologies — no genetic modification involved — to develop sweet corn that’s adapted to organic systems. Sometimes that means working on insect resistance, disease resistance, and weed competitiveness. 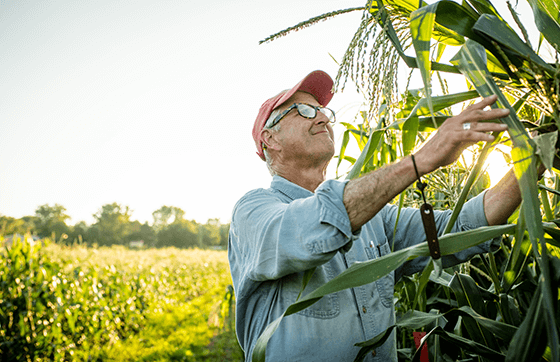 For instance, one of his current projects is trying to improve the “competitive ability” of organic sweet corn with weeds — that is, making the sweet corn grow hardier than the weeds that threaten it. “Sweet corn is a hard crop for organic farmers to grow because it’s hard to manage the weeds. The plants get too tall, so you can no longer take a cultivator through to take out the weeds,” he explains. If he can develop a sweet corn variety that could outgrow the weeds (so that the weeds don’t get any sun), the weeds will be easier to control. He’s also breeding sweet corn to resist the corn earworm, a common sweet corn pest. Some of this breeding is done in Wisconsin, but Tracy also works with farmers and plant breeders all around the world. He’s currently working on breeding projects in the Pacific Northwest, New England, and South America, among other places. “Right now I’m working with a farmer in Alaska. 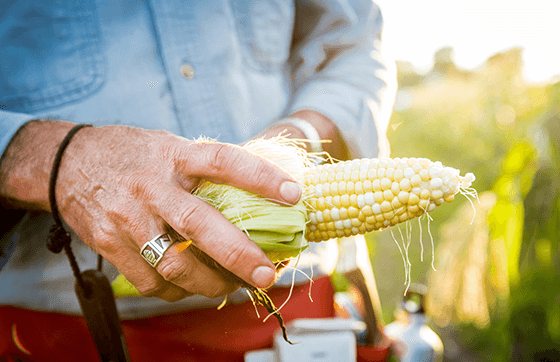 I give him genetic material, he does the selection and I give him advice on how to select.” Tracy is also advising breeders at the Organic Seed Alliance in Port Townsend, Washington, who are working on developing a sweet corn adapted to their region. 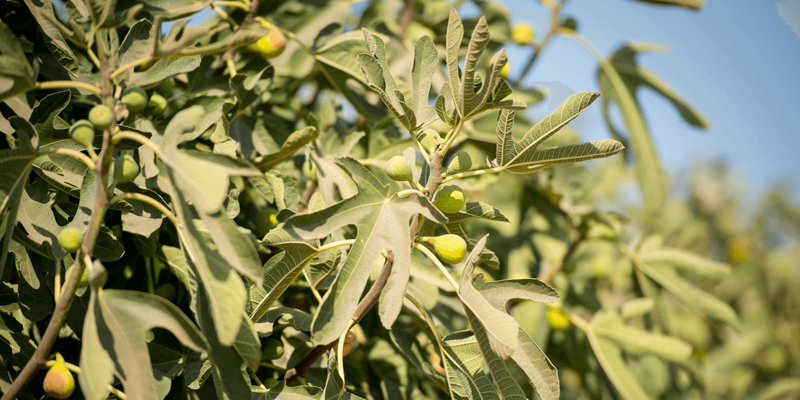 Tracy is also breeding seeds for improved flavor and mouthfeel. “A lot of people think sweet corn is too sweet,” says Tracy. So he and his team are developing a culinary corn (i.e. a savory corn), which is better suited for savory dishes. There’s one variety that he’s taken to calling “Wow corn” because the first thing people say when they bite into it is “Wow!” Though not yet on the market, it should be soon. At a recent event for the Culinary Breeding Network in Portland, Oregon, Tracy introduced a savory variety of corn called Choclo (this particular type of Choclo was grown in Chile). Chef Maya Lovelace of Mae restaurant in Portland braised it in butter and put it on a green tomato and pickled pepper salad with choclo pudding and sumac roasted pecans. Tracy also brought a sweet corn variety he’s been adapting in Wisconsin called Blue Eyed Blonde, which pastry chef Nora Antene (now at the Middle Eastern restaurant Tusk) used for a French-style corn silk pie.